Each player issues commands to their giants in the form of command cards (recruit, move, attack, pillage, and so on). This allows players to recruit new giants, send them out to attack settlements and other giants, and also to pursue special agendas based upon their race. 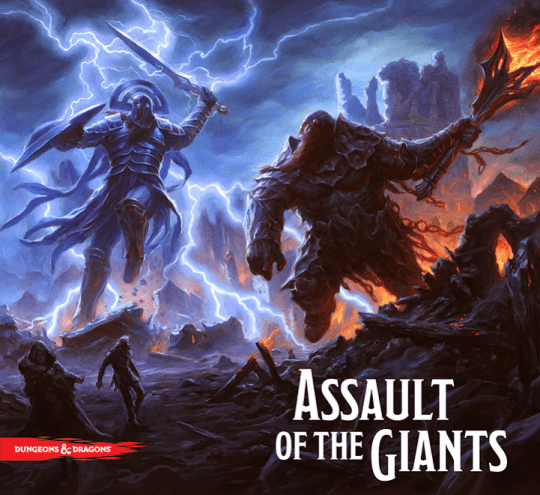 Each player represents a different giant race (hill giants, stone giants, frost giants, fire giants, cloud giants, or storm giants), each with a different agenda. For example, the Storm Giants seek to restore their lost monarch, King Hekaton. The Cloud Giants seek an ancient dragon treasure trove, and the Hill Giants seek an abundance of food with which to feed their massive monarch, Chief Guh.